Kolhapur Municipal Corporation is looking for ambitious, fascinated and active Indian citizens to fill 50 posts of driver. Recently, Kolhapur Municipal Corporation has published an employment advertisement under the name of Kolhapur Municipal Corporation Recruitment. In order to fulfill this recruitment process, the person who wants to make a career in the field of Government, can participate in the walk-in interview on March 5th 2019 at the given place. 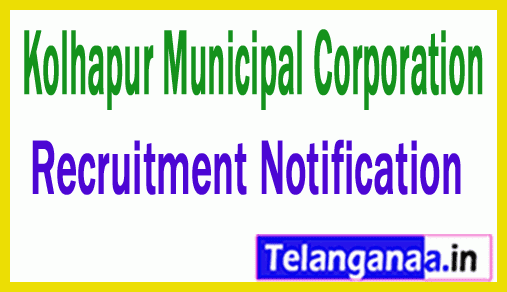 About Kolhapur Municipal Corporation Recruitment 2019 can get every important detail of the job, through this page which is provided by www.telanganaa.in. Eligibility: Job searchers must be 4th with a driving license for any heavy board motor vehicle or equivalent examinations from any recognized board. The maximum age limit for candidates applying for the application is 33 years. Candidates will be selected on the basis of their performance in the interview, which will be taken by the organization's recruitment panel. First of all, the candidates will have to go to the organization's web portal, which is http://www.kolhapurcorporation.gov.in. After reading the notification, the claimants have to take part in the Walkin interview with all the relevant documents at the given address which is mentioned below. Click Kolhapur Municipal Corporation Recruitment Notification here.